The ideal way to clean off your brushes while painting, each of these fantastic stoneware Citadel water pots are matched to a colour in the Citadel paint range! 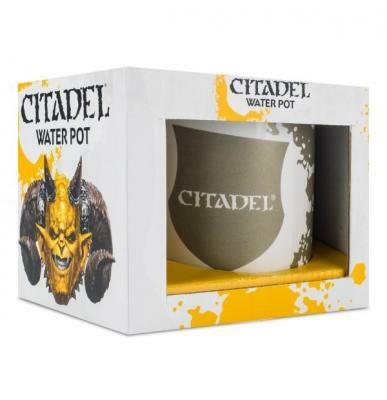 This water pot features an attractive design rendered in Leadbelcher.The ideal way to clean off your brushes while painting, each of these fantastic stoneware Citadel water pots are matched to a colour in the Citadel paint range! This water pot features an attractive design rendered in Leadbelcher.